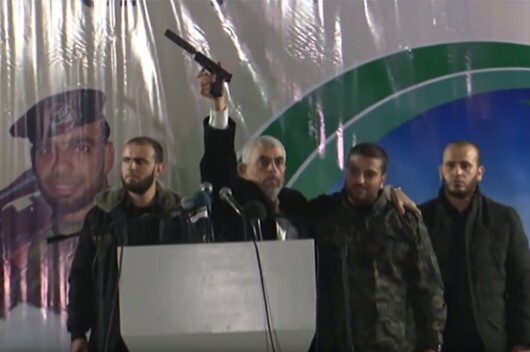 Hamas leader in Gaza, Yahya Sinwar, pulled out a handgun with a silencer which belonged to one of the Israeli special forces troops. 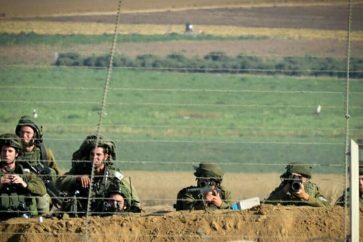 Hamas succeeded in convincing the Israeli Right it had won the last round of fighting in Gaza, an editorial by Israeli journalist has found. In an op-ed published by Yenet entitled “Israel needs a clear security policy, not confrontation,” journalist Ben-Dror Yemini said that the Zionist entity lacks a change in policy. Yemini slammed Netenyahu and Bennett over remarks on change in the time that they are the decision makers in the Zionist entity. Yemini then raised several questions on Bannett. The Israeli journalist said change means policy, noting that policy is exactly what is missing. “Until now it was clear, despite the slandering, that the prime minister has been avoiding military confrontations because of political interests. Has something changed? Let’s pray not. But one shout admits that if, god forbid, a confrontation was to erupt, Netanyahu and Bennett succeeded in creating question surrounding Israel’s chances of winning,” Yemini concluded his op-ed.